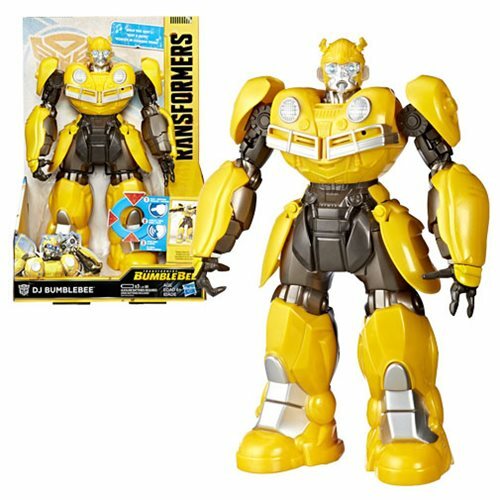 Behind the time-tested battle armor of Bumblebee is more than meets the eye. Rock 'n roll out with Bumblebee as the beloved Autobot gets a movie of his own. 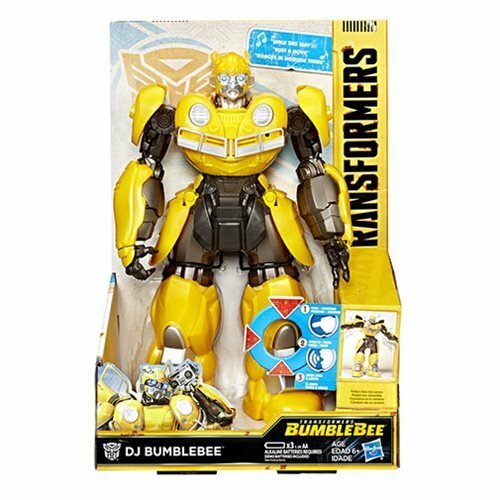 Imagine collaborating with the bodacious Bumblebee to mix some sick beats with the Transformers: Bumblebee -- DJ Bumblebee figure inspired by the iconic character from the big screen. Using Sing-Back Tech, this figure records kids' voices, and then plays back the soundbite in sync with 1 of 3 awesome music. Kids control the mix -- move the figure's right arm to switch songs and left arm to control the tempo. Figure comes pre-loaded with music clips Walk This Way, originally by Aerosmith, Bust A Move, originally by Young MC, and the Robots in Disguise theme song. 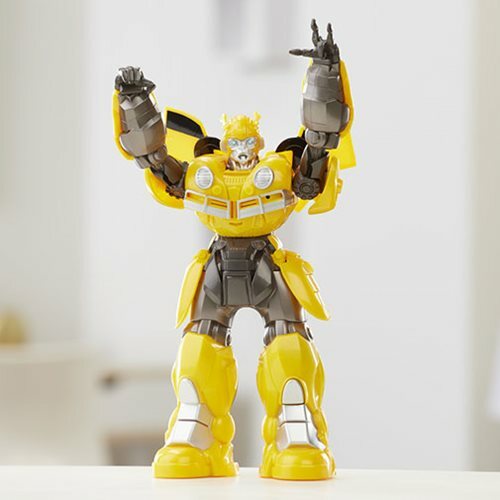 The DJ Bumblebee figure also dances to the beat during playback. Product does not convert, but can still mix it up. Ages 6 and up. Figure does not transform.